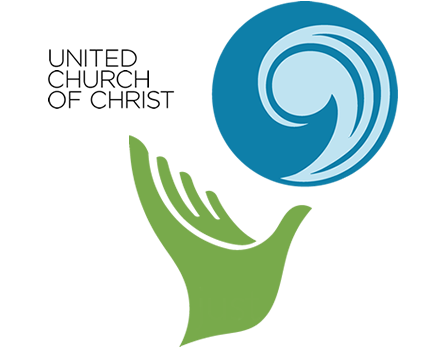 As followers of Jesus, the Christ, we, the people of the United Congregational Church of Holyoke, extend our whole-hearted welcome to all and declare ourselves to be an Open and Affirming Congregation of the United Church of Christ. 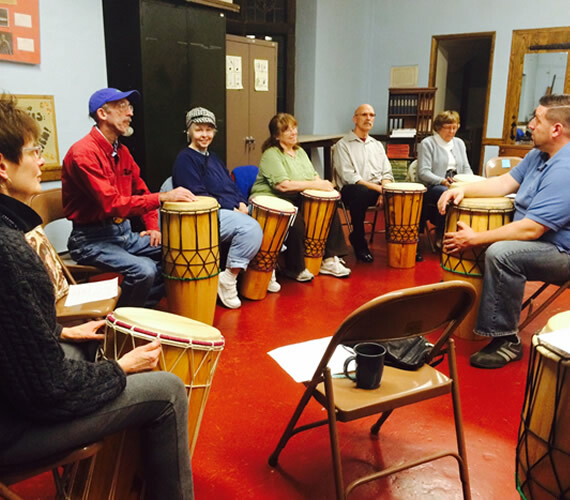 We are an Open and Affirming congregation of the United Church of Christ located in the heart of Holyoke, Massachusetts. 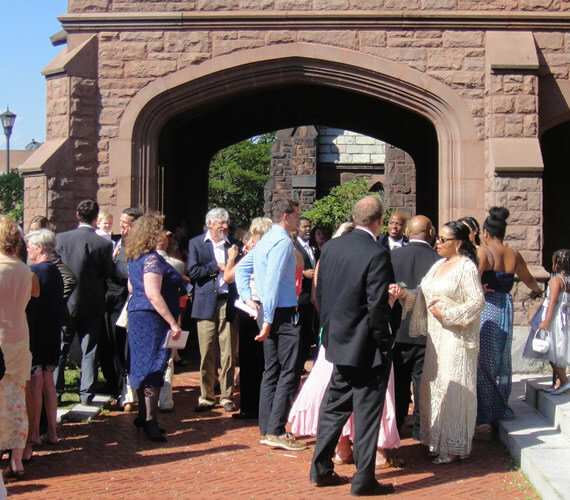 We welcome and invite into our community persons of every age, gender, race, nationality and heritage, educational back-ground, sexual orientation, gender identity and expression, including gay, lesbian, bisexual and transgender people. Les Boulevardiers: Friday, May 3rd at 8 pm! 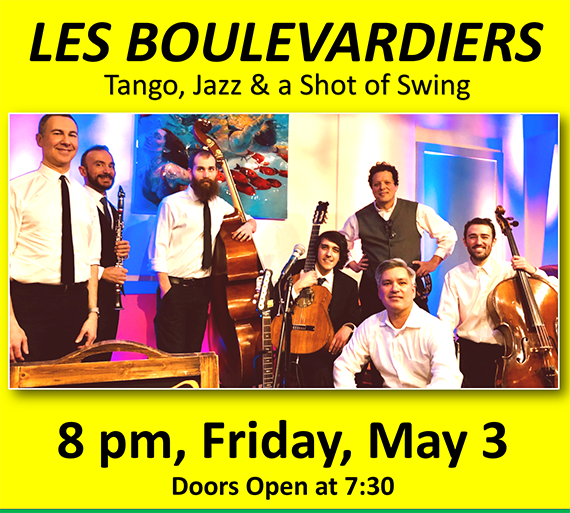 Les Boulevardiers will be swinging into UCC Holyoke on Friday, May 3rd at 8pm to perform their mix of “tango, jazz and a shot of swing”. Tickets are $15 and can be purchased in advance or at the door. This is a benefit event for Trans Asylum Seekers and tickets include admission to the performance, beverage, dessert, art show and 50/50 raffle. Worship is what we do, and all are welcome. Our main worship service is on Sundays at 10 am, with children’s services starting at 10:20 am. 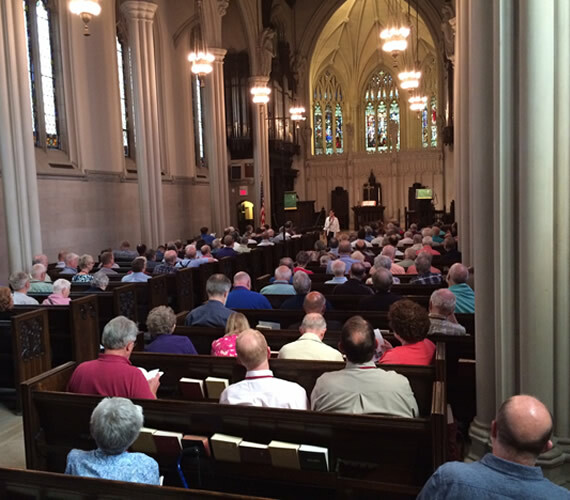 We also offer Faithwaze, our community-based Christian service, on Saturdays at 3pm. We are so glad you decided to visit us. If you are coming to worship here for the first time, be prepared to let go of some preconceptions. No matter who you are or where you are on life’s journey, you are welcome here. We experience good community here. We think you will too. From outreach programs like Rebekah’s closet, to community meals and fellowship, to family movie nights to Awakenings (our biannual conference) we have a full slate of programs available to serve our congregation and our community.